Area of Greatest Need has raised $ 17,252 from 118 gifts! Gifts to the Greater KU Fund have a powerful impact by allowing KU to take advantage of its greatest opportunities and meet its most pressing needs. They support faculty recruitment and retention initiatives including Chancellors Club Teaching Professorships and Career Teaching and Research Awards. 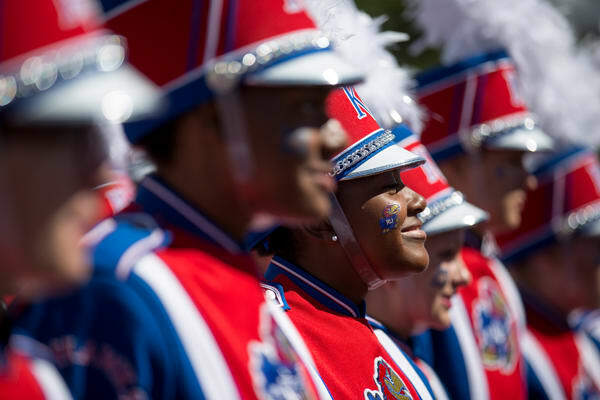 They also provide resources to over 1,000 students, including Chancellors Club Scholars and those participating in Study Abroad and the Marching Jayhawks. The Greater KU Fund even supports important campus enrichment events like Commencement and Homecoming. Please consider making a ONE DAY. ONE KU. gift as a way to further enhance the ongoing success of KU and the lives of the faculty and students that call it home.